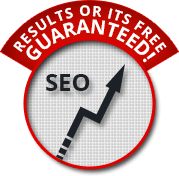 FSA, the best SEO company in Perth WA produces amazing results to quickly grow your Perth business. The right, affordable SEO strategies for your Perth business by the most experienced SEOer in Perth Western Australian! FSA Technology provides a clear structure of your SEO and other digital marketing options and expectations. Our tailor made digital marketing services Perth wide including winning SEO services can accelerate your business growth and provide you with an unmatched return on investment! Search Engine Optimisation – An ongoing process to bring your website to the top of competitive search results in Google, Bing, Yahoo and other search engines. Both on page and off page SEO including free quality do-follow back-links. Social Media Marketing – Creating campaigns on social media websites such as the B2C Facebook, the popular micro blogging site Twitter, the business networking site LinkedIn, the popular video marketing site Youtube and others that get people talking about your products. What SEO does our Perth digital agency do? With keyword research we determine the best keywords to use for your digital marketing campaign in Perth. Keywords are the words that someone might type into search engines to find your website. We want to find the ones which have a high number of searches without being extremely competitive. We will consult with you to choose the best keywords and then choose pages on your website to assign to each keyword. Set up Google Analytics tracking software on your website to record everything from page visits to the amount of time spent on each page. We track how visitors found your website. We also know if the website visits came from Perth or from another location in Australia of from hackers outside Australia. Optimise each page of your website according to the keywords that searchers target. Optimisation includes the SEOing for important search engine ranking signals, starting with prominent wording on the page, image descriptions, page titles, improved page load times, page lengths, links and many more parameters. Start SEOing on the easier keywords to get some traffic flowing to your website and work our way up to the more competitive ones. This is done by making connections from reliable websites back to your website. Search engines know that if well known websites are willing to put links to your website on theirs, your website must hold some credibility! Provide you with a monthly SEO report and your dedicated account manager in Perth will contact you to explain the results and get feedback for the next month’s work. Manage Google Adwords campaigns in Perth. Assess the most profitable areas of your campaign and concentrate on those areas. Less profitable areas are “pruned” and the return on investment increases. Get your free keyword assessment now!